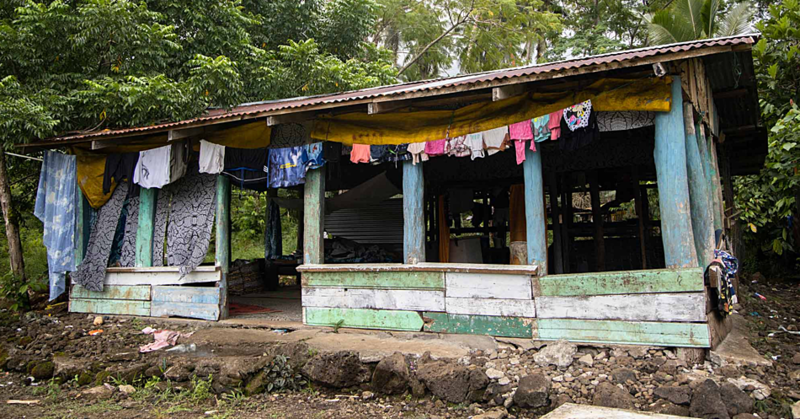 Waste management has been an ongoing issue in Samoa but that might soon be a thing of the past. Yesterday, the Shibushi project came one step closer towards a cleaner Samoa through the Japan International Cooperation Agency (J.I.C.A.) partnership. 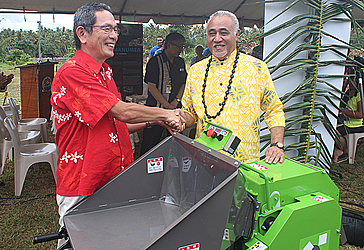 In commemoration of the project’s 30th birthday, Samoa received a new wood chipper donated by Shibushi City Council to help minimise the green waste that ends up at the Tafa’igata landfill. The handover of the machine was done at the Tafaigata Landfill Office and a demonstration took place after all formalities. The $35,799.85 machine will play a huge role in waste management by turning green waste into recyclable compost. The Director of the Shibushi City Council in Japan, Junichi Nishikawa, traveled to Samoa for the presentation. “Shibushi City is supporting your waste management through the J.I.C.A partnership programme,” he said. 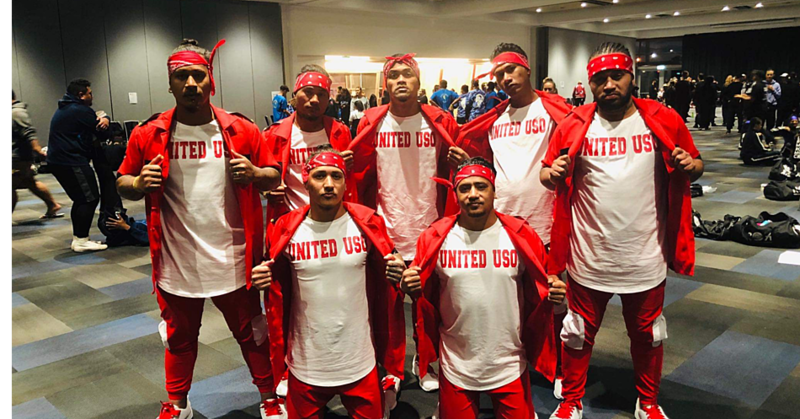 According to Mr. Nishiwaka, the machine is just the beginning and there will always be a willingness to help Samoa. “When we came here we think that if all the waste is mixed together then it’s simply just waste, but if you separate then you can neutralize waste through the creation of compost. The Ministry of Natural Resources and Environment’s acting Chief Executive Officer, Moafanua Tolusina Pouli received the equipment. “This year marks the 30th year since the commencement of the Shibushi city model project with the objective of minimizing waste without out incineration,” he said. “The main component of the project is the conversion of clean kitchen waste into compost, it is an environmentally friendly soil conditioner. “The ministry cooperation with the project introduced composing to village communities and schools. According to Moafanua, this machinery will be crucial in Samoa’s fight against waste. “Today also marks a milestone of the project as we gather to witness the handing over of a wood shredder donated by the Shibushi City council under the JICA partnership programme,” he said. “This is very crucial for the Tafaigata Landfill with more than 30% of incoming waste being green waste; the equipment will assist the ministry in minimizing green waste ending up at the landfull which will significantly prolong the lifespan of the landfill here. “On behalf of the Government of Samoa I would like to convey our sincere gratitude to the Government of Japan through the Shibushi city council for their continued support in waste management. 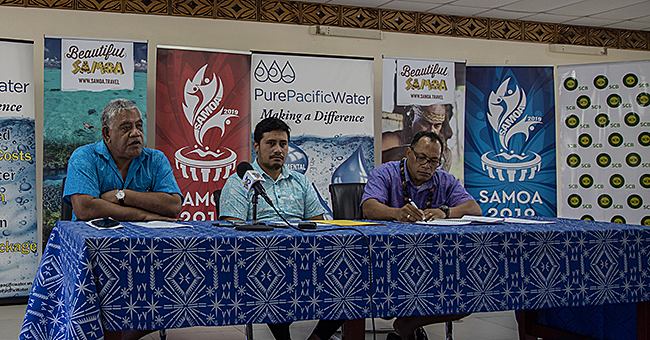 “It is a challenging field and without your assistance Samoa wouldn’t be able to manage this generated waste properly. “I hope this partnership will continue for the sustainable management of waste.